who knows why we pick the people we do to associate to. you see something in what they create and relate. strive to elevate your own creations. they’re a bar that you’ve set in your head. 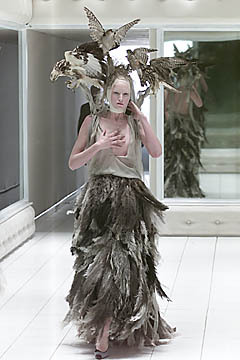 i remember the genius of alexander mcqueen. right after i started fashion school he had that crazy collection involving an insane asylum. 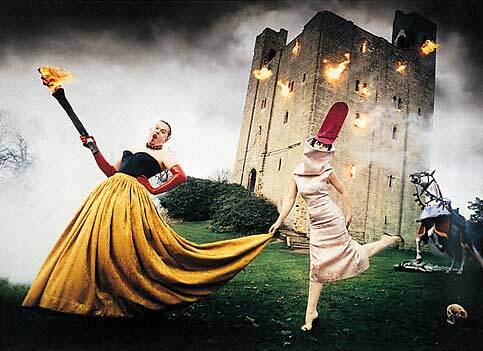 all the models had heads wrapped with bandages… it makes me laugh just thinking about it. there were so many clever ideas. and they were cohesive. crazy, but cohesive. more recently i completely forgot about work for a half an hour (or more) to watch his last fashion show streaming live on the web, only to have the thing crash because everyone and their mom wanted to see alexander’s live fashion show too. i’ve loved seeing those dresses pop up here and there in real life versus the world he created with the show. he had such a following. so many people loved him. it’s disheartening to lose heroes. sadder still to think he took his life. his amazing creations will be remembered, his unique genius never duplicated. This loss completely breaks my heart. 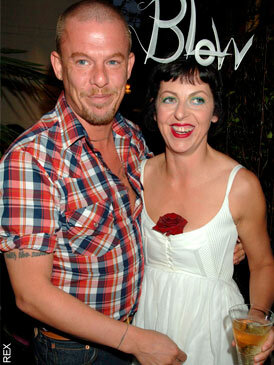 I absolutely love McQueen and he will be severely missed. Yes! It’s so sad. I couldn’t believe it when I read it!